The SAHHEAL Certification Process is a leap to a 'New' You. SAHHEAL Healing Consultant Certification [SHCC] is a unique offering from SAHHEAL. 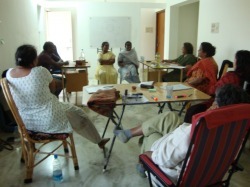 It is an experiential journey of getting to know oneself in a collaborative environment. This studio is a workspace where one’s portfolio is being developed during each of the stages in the program, internship processes & finally emerging out as an Aware & Empowered Being. The SHCC helps individuals discover themselves during the stages through the process of “Meeting Yourself in Silence”- One of the prime values from the book 'CORPORitual', -by Raj Bhowmik. SHCC helps live a CORPORitual life – One that is balanced in the daily existence & nurturing the spiritual essence from within. The outcome of the SHCC is an empowered being, one who is empathetic towards oneself & others; in the process by one’s own experiential journey of discovering oneself, this individual is more conscious & aware of this process in another. SHCC is a platform for also creating a revenue model to help aspiring individuals achieve their dreams of being “useful” to Life. In a safe & nurturing environment, individuals undergo the series of transformations in themselves, more conscious of it in others & can now connect to their environment in a different way from a new changed perspective. This allows them to become more wholesome in their approach to understanding human behavior & leading them towards transition, change & further evolution through transformation. 110% . I knew things in bits and pieces, read some, heard some and done some. The integration of the best of the therapies was the hallmark of this learning studio. My journey into myself began and has gone to a deeper level…more to be done o course. My journey as a healer has just begun. I am confident that I can go all the way what I am taking home from the learning studio is understanding the self better, understanding the underlying areas which lead to various manifestations and managing these areas. Being patient, softer, loving and giving is something that I have resolved to do after stepping out from this stage 1. 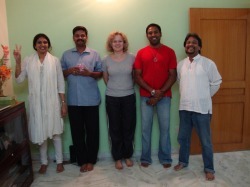 The case studies experience, role playing, breathing and hypnosis practical techniques not only helped in reflecting inside and opening blockages but as a healer gave confidence to plunge further into this movement of healing self and others. Dr. Shantu’s facilitation was excellent. Couldn’t ask for a better facilitator. The conditions in which the whole learning program was carried out were excellent, the stay, the food was comfortable/ However looking forward for one of the steps to be done in Mumbai. No story can start until the characters understand what they are playing. After 30 years today I am born. I am born as a 30 year old adult. It is today I got in touch with the me who was an 8 year old kid. I had been pretending for so long to be an adult. It was an eye opener for me to understand the difference between “Going through” and “Growing through”. Today I feel so light. Today I became my father and gave all the love to my kid who is 8 years old since the last 20 + years. I feel comfortable now. I came to SAHHEAL to become a healer But what/ how can a diseased doctor treat someone. This is where SAHHEAL stands out. They first healed me and then started moulding me into a healer. A healer who could heal the soul, heart and the body. I am blessed to be associated with a group of peoplewho are here to spread peace, love and healing into the world. My Journey just began!! The learning process was amazing simply because it was not out of a text book. The entire subject matter came from a pool of experience in healing and some sensible books The subject matter shared is 100% applicable practically. My journey had already started but I got the push by coming here. I am happy to say what I was and now how this process has empowered me. Healing oneself has a great aspect to itself. It is definitely not like swallowing one crocin tablet. This type of collaborative learning would definitely help everyone in much deeper sense of understanding the concept and it will bring everybody in the same boat and sharing would happen in knowledge. Its learning together. Shantu is great!! She wants to give ….and give….she is taking everybody through in the same boat. Constantly keeping in touch and updates would help me refining and building the team which will heal the world and give shoulders to many when no one is there. When I came inside this studio I thought that I will have a simple presentation session followed by various discussions. But actually the course content was prepared in a structured manner and explained to begin with. During 3 different meditation sessions, I found that my life’s focus point was covered through and moved through the first bridge concept to transform 1st stage. In the second stage, I was moved further up through a second bridge at higher level and taken me to meet babaji maharaj which was in my dream since the last 5 years. I the 3rd grounding tree visualization I was merged with the tree itself and then opened to the ocean in the form of bigger universe, awareness and merging with that universe. This was my aim and I could visualize the focus point step by step rather than limiting myself to my family. Now I find universe is my family. 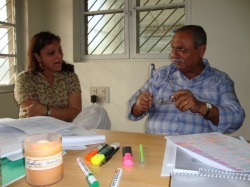 Collaborative process of learning is one of the most effective ways of explaining and understanding a topic. 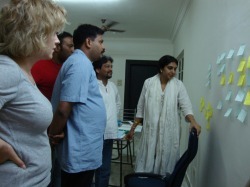 By this process the trainer and the trainee both get value addition which is the main purpose. 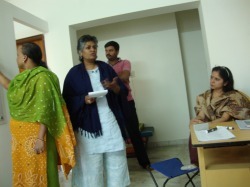 Facilitator being a teacher by profession her skill (spiritual) is extraordinary and exceptional. I wish her further success in her future life. 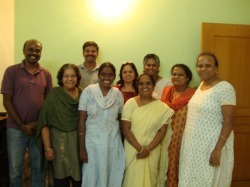 The SAHHEAL Learning Studio for me has all been about myself – A journey into myself. Respecting myself and respecting my soul. I realized the sanctity of my body, mind, heart and soul. I can see purpose entering my journey of life. It is about respecting other souls, their journeys, about not judging people and their situations. It gave me a chance to delve deep into the lives of my partners, understanding them and empathizing with them. I can see myself letting go slowly of things I thought would go bad or crash if I didn’t hold on to them. I realized that I am not responsible for situations around me. I have to let go and respect everybody’s journey. Now, I feel a lighter and enlightened. I now understand and empathize from the outside, from a neutral state. The turning around has happened slowly for me, I feel a sense of peace now. The journey through SAHHEAL was really an amazing experience for me. I didn’t know so many things about myself for so many years. I got to know the nicer, good sides of me which I had buried in my past. It is all about how I see the world. The world is like a mirror. If you smile at it, it is going to smile at you. If you get angry at it, it is going to be angry at you. I got to know why people act in a certain way. There are so many things that have changed in me as a person. I have buried rather killed my old self which was very angry, very aggressive, very demanding and things like that but now it is a different me totally. I am calm and feeling light always and don’t get angry. Now I have a choice to get angry or frustrated or irritated. That change has happened in my appearance and the way I look at things. I feel that I am reborn, as a new person all together. I have a new body, new mind and new everything. My turning point was the bridge technique as I could meet myself when I went across the bridge. The journey was free flowing easy paced. The learning was very interactive and experiential. A good mix of using all the senses of learning that makes it strong. The experience of being able to open up inner thoughts and share was the change. The feeling is to go out and meet people. There are many just waiting for me. The turning point was the opening up of my emotions and peeling of a layer. The first experience of practice is a wonderful reinforcement of the learning and implementation. Thank you. I feel privileged to be a part of this course. I have been searching for an experience like this for a long time without realizing it. I have learned how much work I need to do with myself. Its becoming easier instead of just being an unfamiliar calling. The bridge motivation was a huge turning point for me. I was able to tap into the deep childhood experiences, which were blocked because of the painful nature of them. I feel empowered and curious realizing how much could be done with simple techniques, love and compassion. 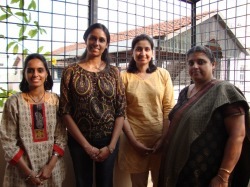 The journey with SAHHEAL learning Studios started in July 2009. In the last three months of learning through the studios, reading materials and communications, I have traveled a great distance. Life has changed, something is different. ..a lot is different actually. It has a new meaning a new end and a means to reach that end. The enlightenment and learning through self introspection and inputs from Shantu, the techniques, exercises, looking into the inner self, connecting to the higher self which is erstwhile thought was unachievable and only heard about were actually experienced first hand. Its difficult to explain because those who understand, explanation is not necessary and those who don’t, any amount of explanation is not enough. All I can say is I am a new person…more empowered ..more rejuvenated…more learned and more approachable. I have experienced myself at 2 very powerful places by the end of the three days in this program apart from the regular learning and understanding. I was feeling for sometime that my energies were all over the place – deeply sad for that. I was asking for spiritual healing. Through these two experiences I connected to my essence. I was looking for my ‘calm, clear, joyous, peace and I felt my love came and met me – here, love, light- my higher power, my masters, my sun- they gave me rebirth. Together they made me feel loved and so much more…words can’t explain. I am still in a state of awe, overwhelmed, wonderment about it. Home….Home…Home…so much love. I am grateful to my true self for not backing out. I am grateful to Shantu for guiding me through it and the big hug she gave me at the end with “Happy Birthday”. I have experienced her warmth and evolved consciousness – so fine tuned with actually what’s happening inside me. My batch mate gave me so much of his warm, loving and healing energy- I felt it. Then of course I also felt soothing, gentle ways from others – making me feel comfortable. Above all, to the Highest Source, the masters and my inner being as well – I am immensely grateful- I feel it in my body and being. I have experienced love, gratitude, at times pain, conflict, anger and then back to peace, joy and calm. I feel content right now at the same time – looking for more to come, not only in stage 2 and 3 but beyond that as well. I truly appreciate the non threatening environment my batch mates gifted me with. Also last but not the least Sunil’s polite, pure presence was very feel-able. Thank you all. I could drill down to a long standing problem of mine of guilt killing me for every issue. When I had done a root cause based on habit of association I came to know that a “good boy” image which was built in me based on my mom’s advice at an earlier age which said that anything that troubles others is bad. I love my mom. I just do what she says. Now, logically it is wrong to say that anything that troubles others is bad. Good boy concept is gone and a great explosion of energy is in me. Big really. I feel happy to have discovered this and it is permanent. I remembered now to tell a lot of things to my mother who is no more and I missed that in my life. When I told her all and let her go I have a great sign of happiness in me. The hidden pain is gone. Now I plan different approaches to speak to my mom. I just love my mom. It has changed my view point on the approach to an issue and introspection. I feel far more confident to handle myself. I have a clear mind. The experience is really good. I got to understand a lot of my inner self, the type of person I am, how I think, and influencing factors from my childhood days. I also got to understand my behavior at times towards my family, friends and colleagues. The facts about sub conscious mind are amazing, heard of it many times but got convinced of it in stage 1. I would like to really carry forward this experience of sub conscious mind and its impact with me. I could get connected to the deeper inner self to a certain extent and I really look forward for similar experiences in stage 2 and 3. I experienced physical level changes like heat, increased body temperature, etc. I could visualize beautiful life full of roses, connect to the place which I feel is the most beautiful on earth. During the exercises it felt amazing – especially the bridge exercise. From day 1 I am able to introspect, go deep into the sub conscious mind and dig out the files and facts, beliefs which have remained untapped so many years. I am able to do this and practice this, and I strongly believe it will a lot of personality change in me. I was able to connect with the experiences of my college days, influencing my friends, my mother’s illness and its impact on me at a very deep level (because I always failed to identify that it affected me badly) and whenever doctors questioned me of any stress I would always say “No” but it has already shown on my physical health, my hormonal levels, etc. but now I got an answer to this in these three days. I now know where I have to act to get rid of my problems and the issues of my loved ones. One important thing I learnt is “How to Pray and ask from the divine” I would like to thank my husband who brought me here and encouraged me to join SAHHEAL, Dr. Shantu for her approach and sharing the knowledge, SAHHEAL itself for being such a wonderful program, my batch mates for being such a good learning company, myself for getting convinced and above all these the ‘Almighty’ for making this possible.